Burkhard Heim (born 02/09/1925, died 1/14/2001) was a severely disabled physicist who has changed considerably the conception of our world and our universe during his more than 40 years of ongoing research. The focus of his research was the human being and the universe as a whole. Contrary to popular science, Heim did a geometric description of the universe including all its fields and particles. The result was that man and matter must exist in a 6-dimensional universe, so this is a mandatory physical necessity. 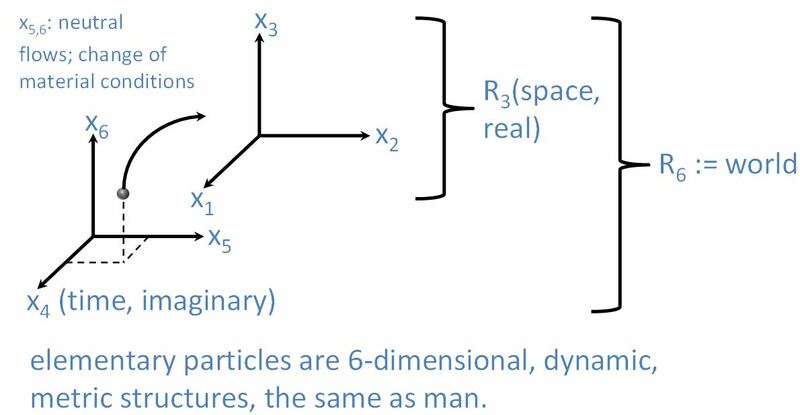 These two additional dimensions correspond to a structural dimension (or probability fields; negative entropy) and its temporal dimension update. Both dimensions are independent of our space-time continuum (space + time). Heim, working together with the Viennese physicist Walter Dröscher, later expanded this model by six hyper dimensions. The dimensions 7 and 8 correspond to informational dimensions and the dimensions 9 to 12 to a space that is, according to Heim, physically difficult to describe. But these upper four dimensions can intervene everywhere and to any point in time. ‘You in Germany temporally have a lead of 30 years compared to us in America.“, said the American physicist Harold E. Puthoff, when he attended a lecture on Heim’s field theory in May 1997. The presented principles of the Heim’s theory were partly up to 30 years old. Dr. Hal Puthoff is considered the father of the US government’s Remote Viewing program, which reportedly ran between 1973-1991. Furthermore, Heim investigated man and his holistic composition. By his calculations he could derive more complex organizations of sub-grade material structure currents, which eventually led through the formation of inertia to matter (elementary particles). On the higher levels of organization followed atoms and molecules, then biosphores and life processes and finally sensations, awareness and wisdom. All processes are controlled via information channels, whose number depends on the reached level of organization. Already during his early works Heim said that the higher levels condition the lower levels: the so-called pneuma (the wholeness of mental laws of thought, reflection, intuition, creativity, wisdom) conditions the psyche (behaviours in the area of experience and feelings) which conditions the bios (the living matter) which conditions the soma (all material). So already here Heim had been able to explain psycho-somatic diseases by physical laws. An important point for Heim in his research was the question of the mind-body problem, i.e. the continued existence of consciousness after death, which was affirmed by Heim. But he said that this “awareness” is not comparable with what we call “consciousness”. Based on the research of Burkhard Heim, the functionality of Remote Viewing as well as the Reconnective Healing frequencies can be explained by physics. It can be seen that there exist flows of information throughout body and mind (image below, left), but also (necessarily) between higher dimensions (image below, right side), which for example keep life processes on a stable level. These flows do not just go from higher levels or dimensions to lower ones, but also in the opposite direction (feedback system). A somewhat funny representation of these processes is provided by Olaf Posdzech on one of his pages about Burkhard Heim. So we are in a constant feedback which largely takes place in the background. But by means of Remote Viewing and the Reconnective Healing frequencies we have the opportunity to call this feedback into consciousness and to interact with it. This is a wonderful discovery. We are all so much more than the sum of the visible parts. I could not say “I dictate this.”, and “I think.” but “IT dictated. IT thought.” It was something that apparently did not belong to myself. It seemed to me as if I only said something that actually belonged in a total elsewhere. That is exactly what a remote viewer feels when he is “on target”. Heim was, by the utter absorption in his works, so detached from everything that he had access to an incredible flow of information, which pushed his research tremendously. The reproduced scientific aspects of the Heim theories can be touched only very briefly here. So I would like to refer you to the following links if you want to learn more about Burkhard Heim’s theories.